Do you crave a carved and chiseled physique? 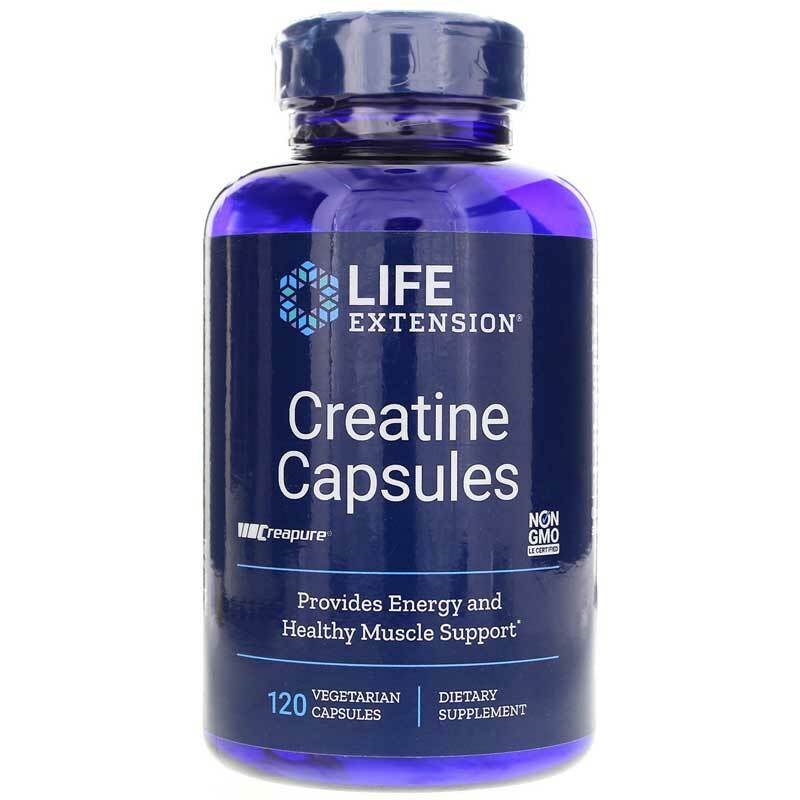 If you're eating right and putting in the time and work it takes to build healthy muscle, consider giving yourself an extra hand with Creatine Capsules from Life Extension. Creatine Capsules is a dietary and exercise supplement intended to provide energy and muscle support to help you achieve your fitness goals. Creatine is naturally produced in the body from the amino acids L-arginine, glycine and L-methionine. Formed in the kidneys and liver, it's transported in the blood to supply energy to all of the body's cells - including those in the muscles. In the muscles, creatine supports overall exercise performance, aiding muscle function and energy metabolism to help you get the most out of your workouts. 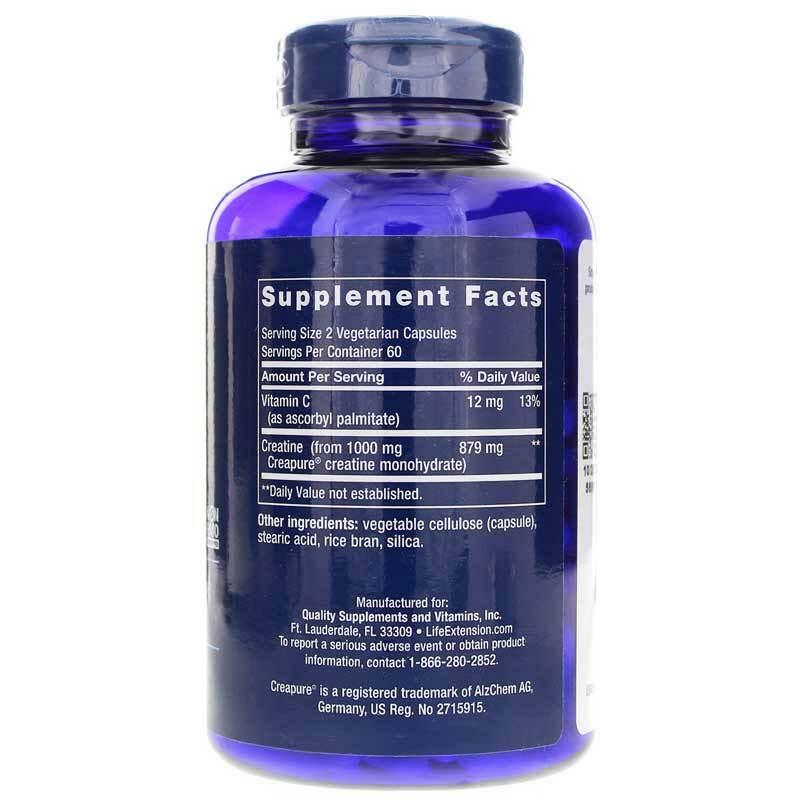 Life Extension's Creatine Capsules contain 879 mg of creatine from 1000 mg of Creapure creatine monohydrate per two vegetable cellulose capsules. Creapure is a quality product from AlzChem Trostberg GmbH of Germany. Make your workouts count. Order Creatine Capsules today. Creapure is a registered trademark of AlzChem Trostberg GmbH, Germany, US Reg. No 2715915. 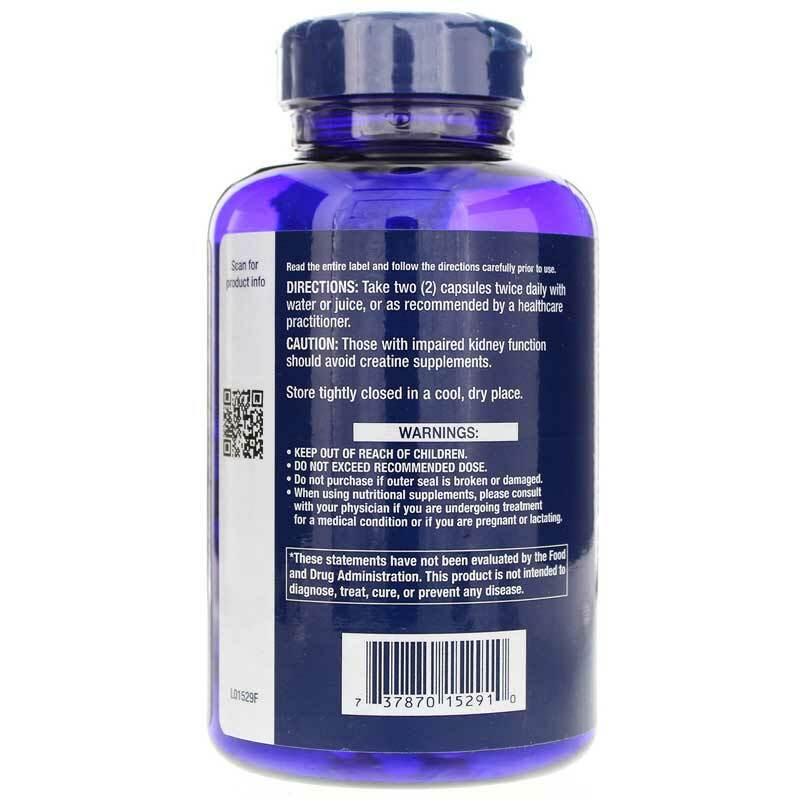 Adults: Take two (2) capsules twice daily with water or juice, or as recommended by a healthcare practitioner. Those with impaired kidney function should avoid creatine supplements. Do not exceed recommended dose. Keep out of the reach of children. When using nutritional supplements, please consult with your physician if you are undergoing treatment for a medical condition or if you are pregnant or lactating.